SUNDAY LOVE. #2. | Life Looks Perfect. Morning Ladies & Gents! 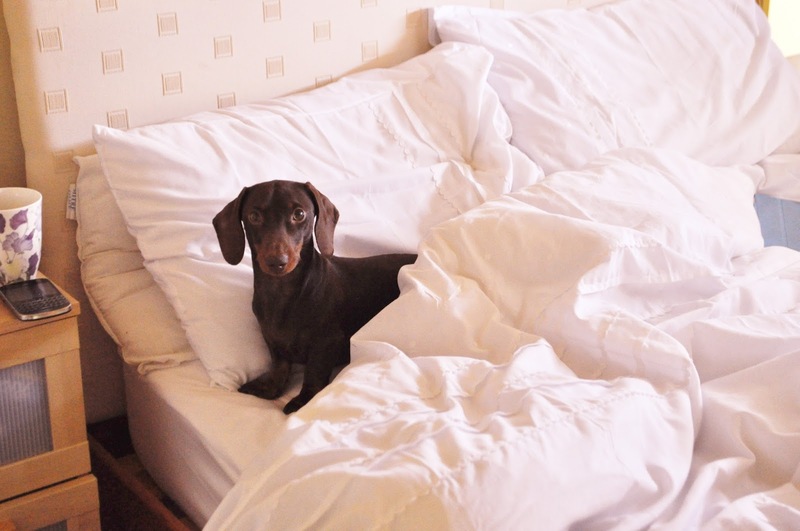 I hope your still in your PJs and reading this in bedies, ahum like Arnie above...oh to live the life of a sausage dog! Welcome to my #2 Sunday Love post. First up is one of my favourite bloggers, who actually was a fairly late find last year. Introducing my serious blog crush Jenny from Jenny Purr Blog. This beautiful articulate beauty blogger, writes fantastic reviews of skincare, make up and haircare, showcasing them in perfect pictures that only in my dreams I could ever be able to take. 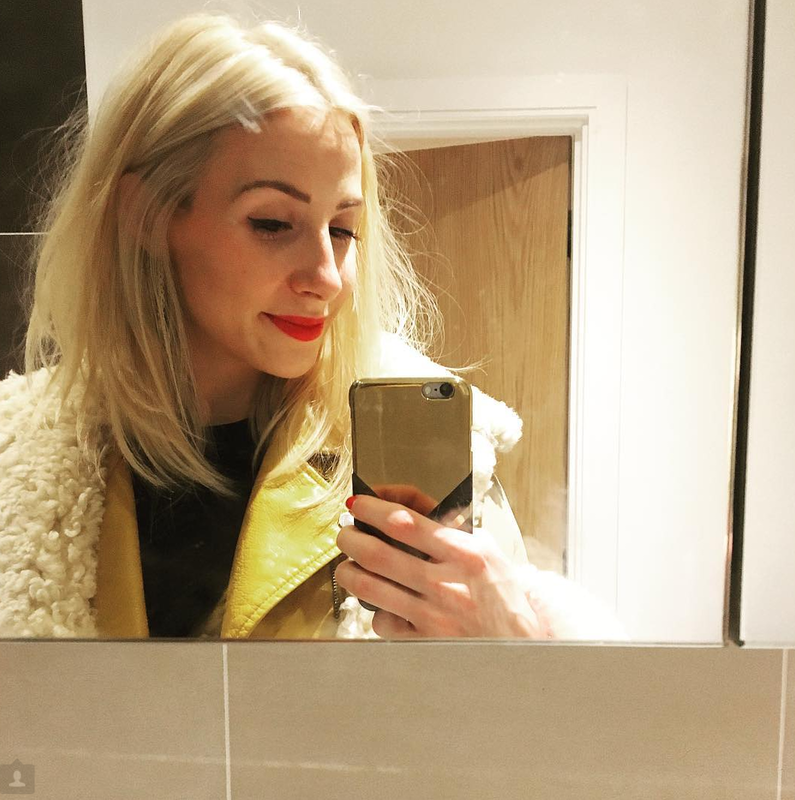 Without fail this gal has made it in eyes, not only does she seem to have a lovely heart, even through chit chatting on twitter she encapsulates everything bloggers love, a passion for writing and a true love for beauty. I think also we might just be skincare twinnies, as we pretty much have exactly the same taste in brands and products. Let alone everything Jenny writes about it! Oh she's going to be my 2014 enabler, I can see it already happening Jenny. How could I not have Lush cosmetics as my first Sunday love #beautylove! All around the twitter-sphere bloggers are talking about Lush's Christmas offerings. Yes I know Christmas is over now but many of us were spoilt rotten with some of those cute Melting Snowman's and Fat Penguin bubble bars for Christmas. I know I am still finding that special evening to use my last Melting Snowman- he's just too cute to use! But my favourite this week has been Sandy Santa. 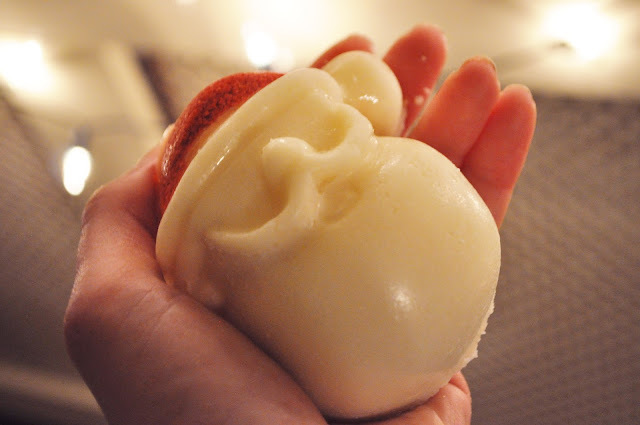 This incredible scented body polish bar, smooths and scrubs your skin to a silky goddess. Honestly did I mention its scent because it makes me weak at the knees and I am a fragrance snob these days. It's a tasty blend of Rosewood and Sandalwood (which Lush spelt as Sandlewood on the packaging, so fingers crossed we are talking about the same scent hehe). Sandalwood is a beautiful exotic but warming fragrance which you can smell instantly mixed with a citrus Orange note that adds that Christmas touch. I wish you could still buy this online or in store but here's hoping if enough of us love it, it might come back next year! This week I had to give my love to a rather well know young lady....Zoe from Zoella. I have been watching Zoe for as long as I can remember. She always makes me smile & I think she comes across as the lovelies lady. Someone who you would quite happily be around all the time. I picked Zoe this week mainly for her 2013 to 2014 video HERE, I think she has achieved so much and is a great role model for all her viewers especially young girls, that you can make your dreams come true. To see someone suffering from the same problems that have really taken a hold on my life last year and well my entire life really without me noticing, shows that I am not alone. She makes me feel that one day I won't be like this and I would have beaten my anxiety and I will look back on all this thinking how much I have achieved. I want to start living my life how I want to live it. I think Zoe is amazing and so brave. If you ever read this Zoe, I know I am only 1 amongst 5 million of your fans but thank you for making me feel that I will beat this. I have been delving straight into 2014 with reading blogs everyday, some of my favourite along with new finds, which i find twitter to be the best place to hunt them down hehe. A post that hasn't slipped my mind since before Christmas actually and so I had to share it with you is from Lyzi from Being Little. Lyzi's post Real Life: Loved ones at Christmas, struck a cord in me before Christmas that somehow pulled me through. Christmas is always a tough time not only for me but almost everyone when they are missing someone dearly. I think that Lyzi's post was nothing short of beauty. Her words and kind thoughts for not only her loss but others that may find Christmas hard was so caring and loving (that's if you can feel love through cyber space... But I think Lyzi did it). This week it's been a tough one, with getting back into work, getting up at an unruly hour along with back to the crap TV. Don't you miss all the movies on TV? I have to say my love this week has been healthy eating. Yes I thought I would never say this but since the new year, I have been making a conscious effort to eat more greens, fruit and cut out the crap. OK I still have a chocolate stash in my desk but honesty I am already starting to see the difference. I feel more energised (past 11am hehe) and I finally feel happy with my food intake, which was starting to dramatically decrease late last year. Let's hope I can keep it up! Enjoyed the post? So much love in this screen, it's starting to get steamy! Now get reading, grab a cuppa and have yourself a relaxing Sunday. Tonight if you are joining any twitter chats remember to share the love Ladies and Gents. Till tomorrow! Thank you :) Thats my mantra this year! Sharing the love!